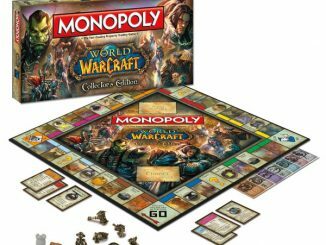 Most people already know how Monopoly is played, or at the very least, its mechanics. 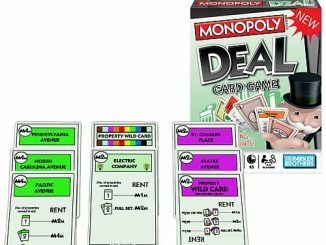 It’s a relatively simple tycoon game, where the goal is to buy as many properties and build buildings and hotels on them to earn more money from said properties. 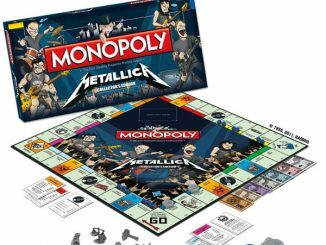 The classic game has since come in several collectors’ editions, like the Metallica Collector’s Edition Monopoly and the Futurama Collector’s Edition Monopoly Game. 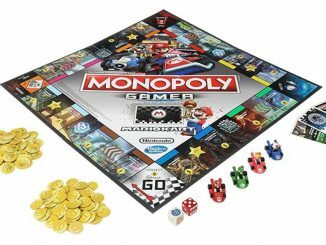 But none of these are like the Monopoly Cars 2 Race Track Game, which looks very different from the typical Monopoly game board; it’s round instead of the usual square shape. 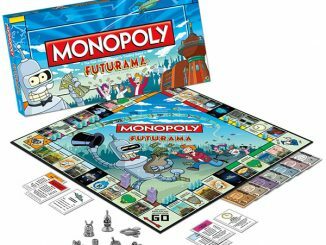 The objective in the Monopoly Cars 2 Race Track Game, however, remains the same; only you’re buying and trading cars instead of properties. 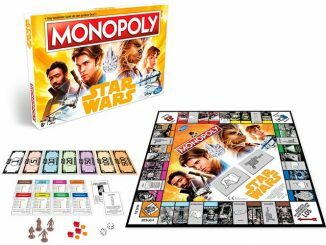 Race to real-estate victory with characters from the Cars 2 movie! 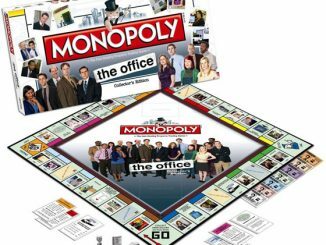 Buy and trade cars in this fast-paced contest! 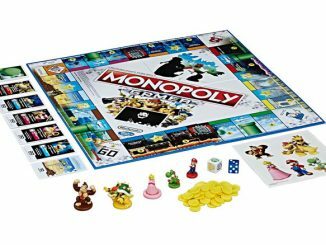 The Monopoly Cars 2 Race Track Game is for 2 to 4 players, ages 5 and up. 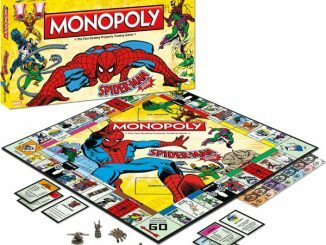 Race to real-estate victory with characters from the Cars 2 movie! Buy and trade cars in this fast-paced contest to try to earn the most money. 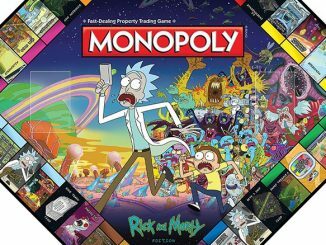 Speed your way around the board, build up monopolies, and– if you’re the richest player at the end of the game– win! 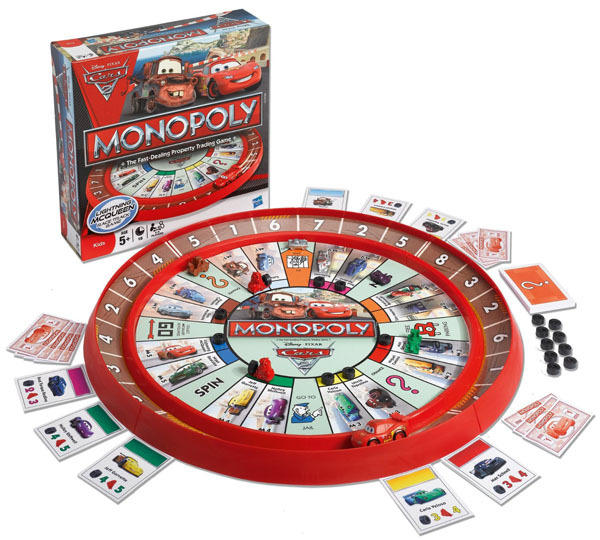 The Monopoly Cars 2 Race Track Game includes 1 racetrack (in 4 pieces), 1 Lightning McQueen racecar, 1 gameboard, 16 Cars cards, 16 tires, 8 Pitties, 4 character movers, 16 Chance chards, a money pack, and instructions. 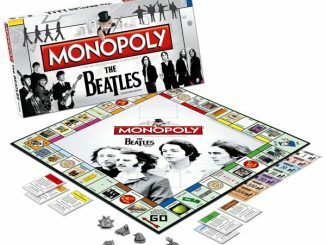 2 to 4 players. 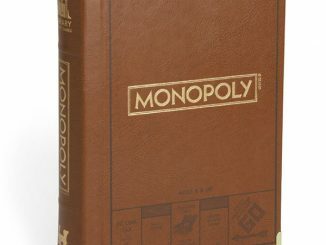 The Monopoly Cars 2 Race Track Game will be available from Entertainment Earth for $21.99 in January 2012 and is available at Amazon.com from $23.52 right now.